"Great place for a corporate getaway. 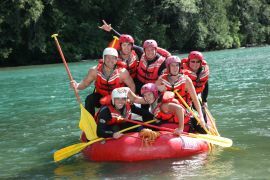 The rafting was an amazing experience and the guides were phenomenal they made the adventure superb"
REO corporate socials are a great incentive for staff, clients and management – stay overnight & make your event one to remember! Whether paddling through the rapids, enjoying a delicious dinner or telling stories at the campfire, your group will be smiling for weeks to come. 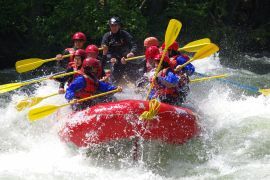 Not Everyone up for the Challenge of Whitewater? 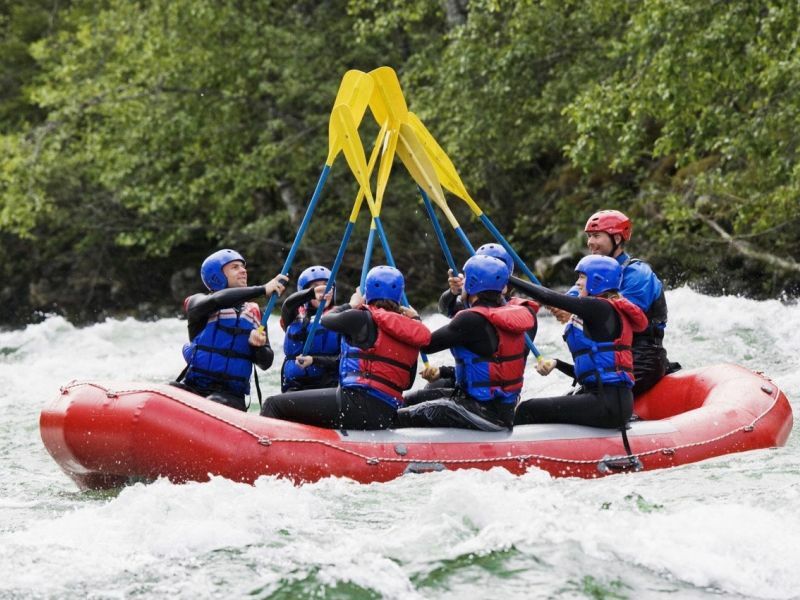 Try the Fraser River scenic trip with gentle rapids and beautiful scenery – look for bald eagles flying overhead, cool off in a 20m waterfall and catch a glimpse of a black bear on the shore. Want to Relax at the Resort? Enjoy a relaxing aromatherapy massage, participate in a rejuvenating yoga class or test your aim at archery. 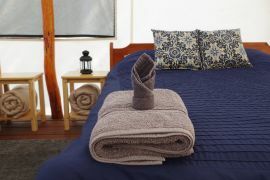 You can also create a customized yoga retreat, our guest services staff will be happy to assist you. We have an excellent safety record and a reputation as an innovator in customer care and service. 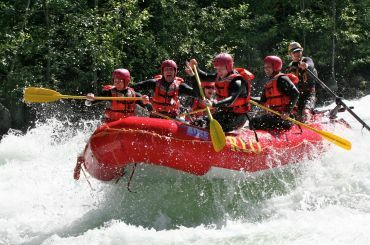 Our industry-leading safety and operating standards have provided quality adventure trips to over 100,000 guests from around the world for 36 years! 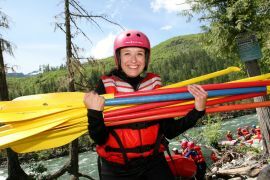 Our senior guides and trips leaders are certified and have extensive experience. Judgement and leadership by risk management decision-makers, is the key to ensuring guest safety. 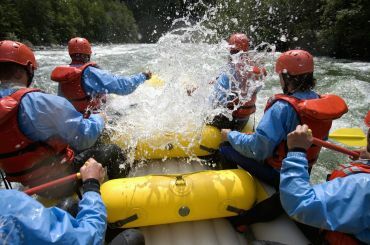 REO uses self-bailing rafts and provides top quality gear (life jackets, wetsuits, helmets & paddles). We take great pride in presenting an interesting and complete safety briefing prior to each activity.